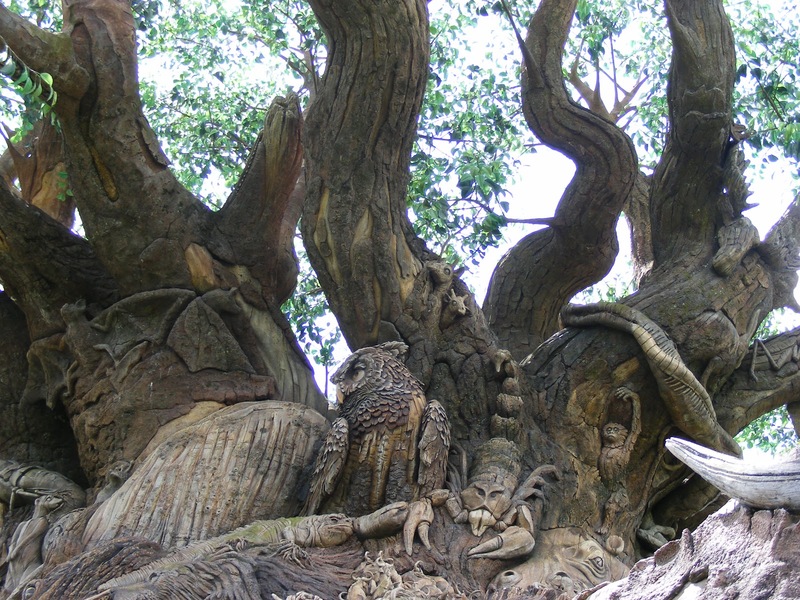 One of the most amazing sights to me in any Disney World vacation is that first look at the Tree of Life. I feel its simply, the best icon of any Disney park anywhere. 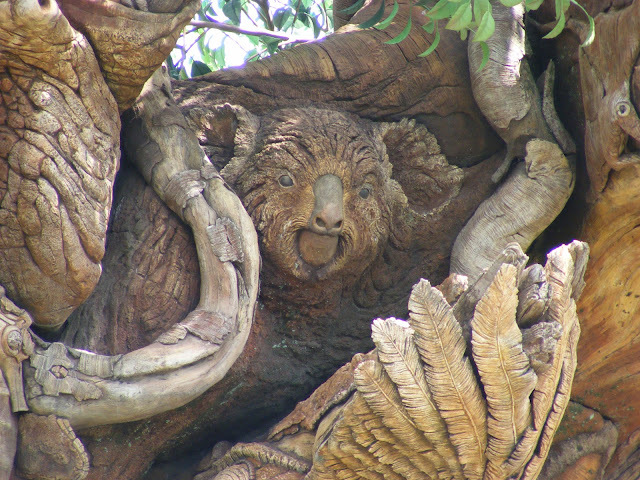 Frankly, I think its one of the more important things about Animal Kingdom and one of the top reasons I love the park. When imagineers were tasked with the project of designing a brand new animal based theme park, they new they had to come up with something unique to become the icon of the park. They went through many different ideas including a gigantic carousel and a castle topiary. But what we got was the Tree of Life. The structure itself is impressive. It is massive at about 140 feet high and looms over the gardens sprouting up around it. As many know, it actually uses oil rig technology as the base its built around. The tree itself was constructed off site and twelve massive pieces where shipped to a site where the parking lot is now and pieced together. Of course, as soon as the guest gets close you begin to see the animals. 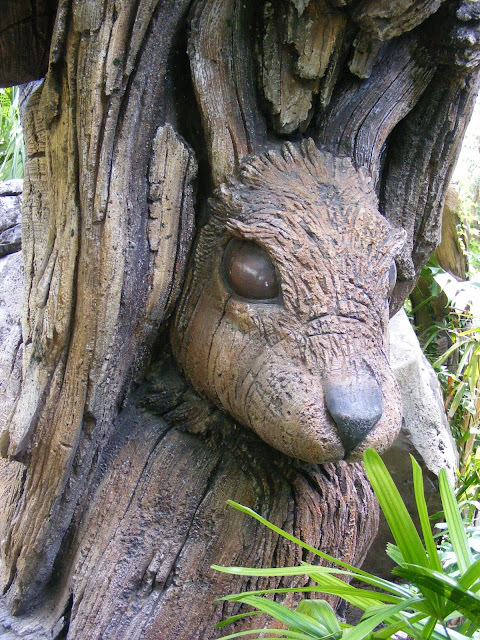 Symbolizing the "circle of life", imagineers decided to sculpt likenesses of animals into the bark itself. In fact, there nearly 400 different critters on the base. 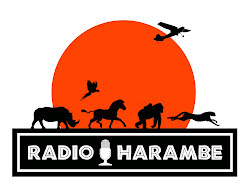 Good luck finding them all, there is a warthog, kodiak bear, dolphin, horse, elk, bobcat, rattlesnake, and even a herd of wildebeest. Next time you are there see if you can spot my favorites: the rhino, woodpecker, ant, octopus, and bison. They are so amazingly detailed and life like. You can see the individual hairs of the bison, the details of the skin on the octopus. Many of the sculptures are virtually hidden. Perhaps the most famous is the chimp located near the entrance to It's Tough to be a Bug. Jane Goodall was visiting the park before opening and looked at the Tree. She allegedly asked if there was a chimp. Within a week, the visage of the chimp you see today was up. This is David Greybeard, a chimp made famous by Ms. Goodall's books and is the only animal on the Tree based on an actual animal. But you need to spend time examing the Tree from many different angles. Across the Discovery river, you will see different animals. There are places where you can get close like near the kangaroos. The path leading to It's Tough to be a Bug is another great way to see different sculptures. Be that as it may, you will likely find your own favorites.